Now that it’s going to be official by the end of the season, Michael Ballack expects Petr Cech to pursue a managerial career after his retirement. The announcement of retirement that Petr Cech made earlier this year was a shock to a lot of people, but former teammate Michael Ballack is already looking ahead of his friend’s career and expects it to take a desired turn into a manager’s role. Although it may still be early to talk about this in detail as we have no idea what Cech would prefer doing after he hangs up his boots, the German Chelsea legend was very adamant on describing the best qualities that the goalkeeper has that can help him become a world-class manager. For starters, Cech has gone through several moments of adversity during his career as a goalkeeper and that has shaped his strength of character and mentality. Petr also speaks several languages, which is something that has proved remarkable for any manager who hopes to coach any major club in European football. The goalkeeper also has a huge legend on his shoulders to rely on when he has to deal with top players in any squad, nobody would dare to doubt his career as a professional and that has proven to work very well with the players of the new generation. It’s almost as if the manager’s seat was calling for Petr Cech once he goes through the proper studies, at least that’s what Michael Ballack thinks. “He’s a very nice guy and comfortable team-mate. 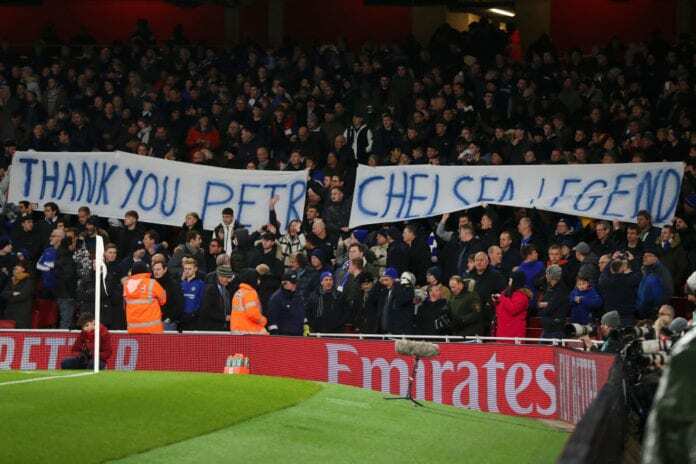 He speaks a lot of languages, so Petr had a good connection to a lot of players,” Ballack told Omnisport via Four Four Two. “I remember that he had two brutal injuries. One was during a game, when he got hit by a knee on his head,” Ballack said. Petr Cech has been a major influence for English football in the modern era, he is considered one of the best goalkeepers in Premier League history and had a long successful career at Chelsea where he won most of his accolades. The traumatic head injury was sustained when he was defending the Blues’ colors, something that has marked his career forever and even improved him as a player in many different ways. Today, Cech is playing his last games as a professional goalkeeper for Arsenal FC, he hopes his retirement can come with a trophy but he may not have to hold his breath for that one. Regardless of how Petr’s career will end, there are still other options to consider and becoming a professional manager could very well be one of them. We will be eager to know what the Czech goalkeeper decides in the end, he may follow Michael Ballack’s advice or he may just decide to go on a completely different path. At this point, only Petr Cech knows what will happen to him after this season. "The squad is good, but not good enough for the top"
What do you expect Petr Cech to do after he hangs up his boots? Please share your opinion in the comment section down below.